For your online business to be called successful, you will need to come up with an idea of how to measure that success. Usually, the meaning of success depends on the business owner. For instance, one person might think of success as having many active Twitter followers or Facebook likes on his company’s social networking pages, while another may think of success as just being popular. While these two things could be considered indications of success, you will only be able to really measure success by the fruits of this popularity and those many followers. What good are popularity and a large following if they cannot increase your sales? Popularity and Profit aren’t always the same thing in SEO. So then, it’s important that you measure your brand’s current online market share to see how your business is faring in its industry. By comparing it to other competitors in the field, it will then become easier for you to adjust your marketing strategies in such a way as to be able to compete, as well as to further increase your market share. Increasing your market share will eventually guarantee success, and all that implies. Unfortunately, not a lot of business owners have a good grasp of what market share is all about. Let’s start with a simple definition. Market share refers to a company’s share of sales in the total market of that industry. Market share directly affects profits, and it shows the competitiveness of a company against other companies playing in the field. Market share is usually depicted in percentage. This is a study conducted back in 2010. What do you think it looks like today? Take a look at the chart above. 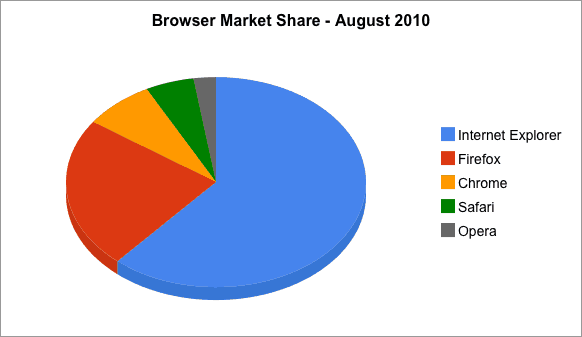 This is the browser market share for August 2010. All of the brands here are browsers, and the chart is divided according to the number of people who use these browsers. As you can see, back in 2010, Internet Explorer had the largest browser market share, followed by Mozilla Firefox, and so on. From the chart, it could be said that Internet Explorer holds the top market position and had the best “sales” in 2010. By looking at the chart, and also doing some research, a competitor like Mozilla Firefox would be able to compare his market share to that of Internet Explorer’s. Firefox could calculate how much market share he needs to grab that top spot from Internet Explorer. 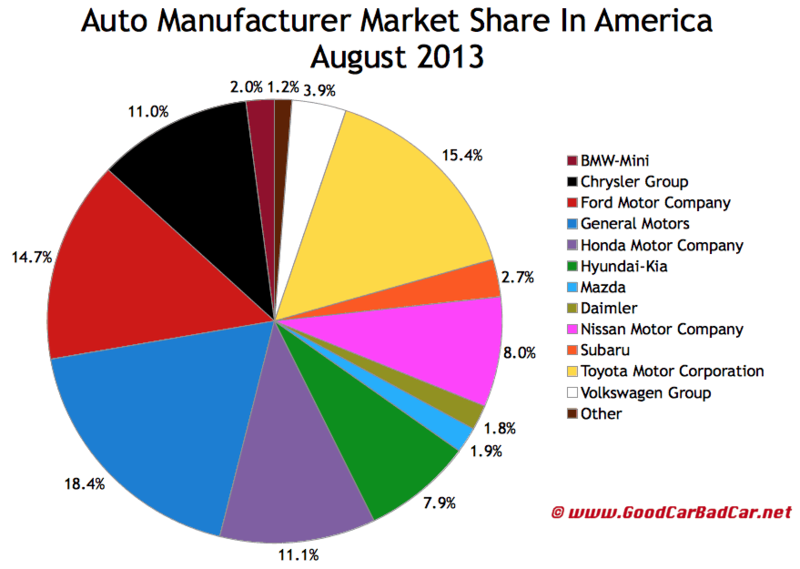 This time, we will focus on the market share of automobile manufacturers in America, more recently in 2013. From the chart, you can see that the biggest market share belongs to General Motors, followed by Toyota Motor Corporation, then the Ford Motor Company. If you’re planning to establish your own auto manufacturing company, the chart shows you who your biggest competitors are, as well as the other competitors that are getting a piece from the whole market share. Basically, your market share is like the final report for the year that shows you where your business stands in its industry. Now, as the owner, it is your duty to study this current report and use it to improve your market share in the future. Now comes the hard part. How do you find out your brand’s online market share? You can do it manually, but you will need to acquire information first. The main thing that you can do is to determine the size of the market in which you compete. You can find this based on the size of your target demographics and the number of people who are actually your customers, but do not necessarily belong to your target. You’ll need an in-depth study done. Factor in your products and services, as well as the factors that influence the buying power of a customer. Think about the kinds of people that your brand will appeal to. Don’t forget the location of these customers, plus you have to base it on other factors like, what % of the total target demographic in this area are online. In other words, it’s confusing, expensive, time-consuming and hard. Probably not worth your time if you are a startup. But there is an easy way to estimate this. How do you do this? It’s called Facebook. 3. 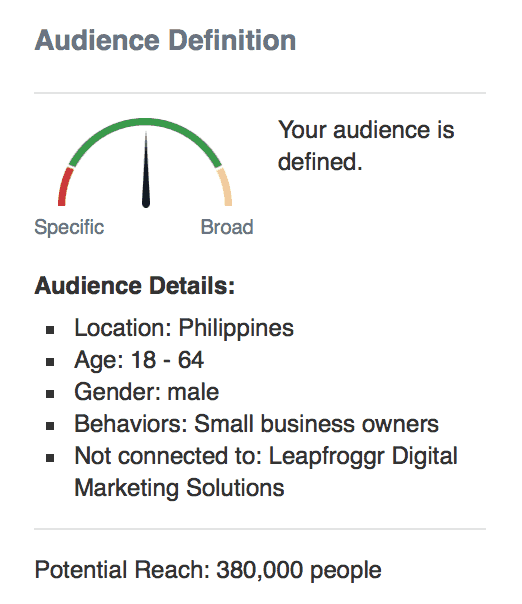 Scroll down to “Audience” and insert your basic demographic details. Location + Age + Gender. You’ll see a huge potential reach. 4. Drill it down one more notch and insert a very specific trait that 90% of your target likes, does or have in common. You can continue to drill it down further if you have very specific market data. Drill it down further to get a more accurate number. So that’s it. Your potential market size. Since a majority of online people in the world already use Facebook, it’s a great way to quickly and easily get data plus it’s free. You might be asking how you can get demographics data. If your business has been around for a long time, you probably already have that data in your customer database. 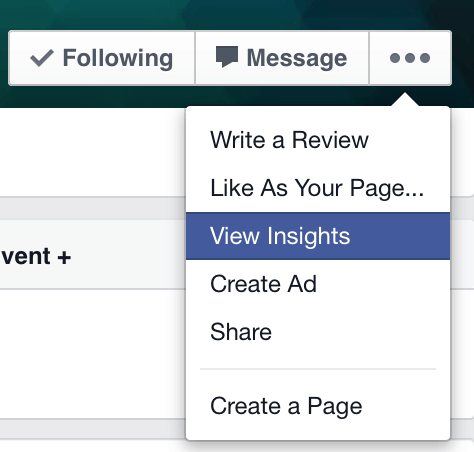 If your brand has a Facebook page with thousands of fans, just check your Insights. If you are new, get the data from your competitors. Check out tools like Quantcast or even Alexa. You can also just look at their responsive Facebook Fans and come up with an estimate. Don’t forget, you should assume that other companies that offer the same products and services are competing with you within this market. This means that these companies are also looking to grab the attention of your target customers and demographics. All of you are within the market and competing for the biggest market share. 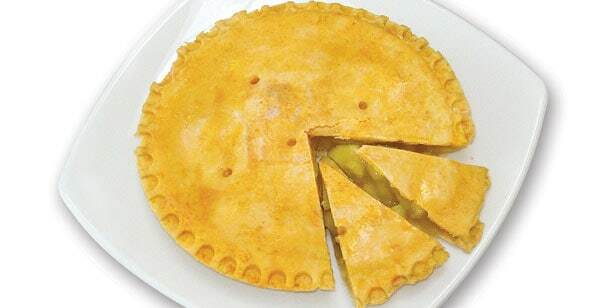 Currently, you can look at your situation as a whole pie, where each of you has a piece. We all wish our piece could be the biggest one. 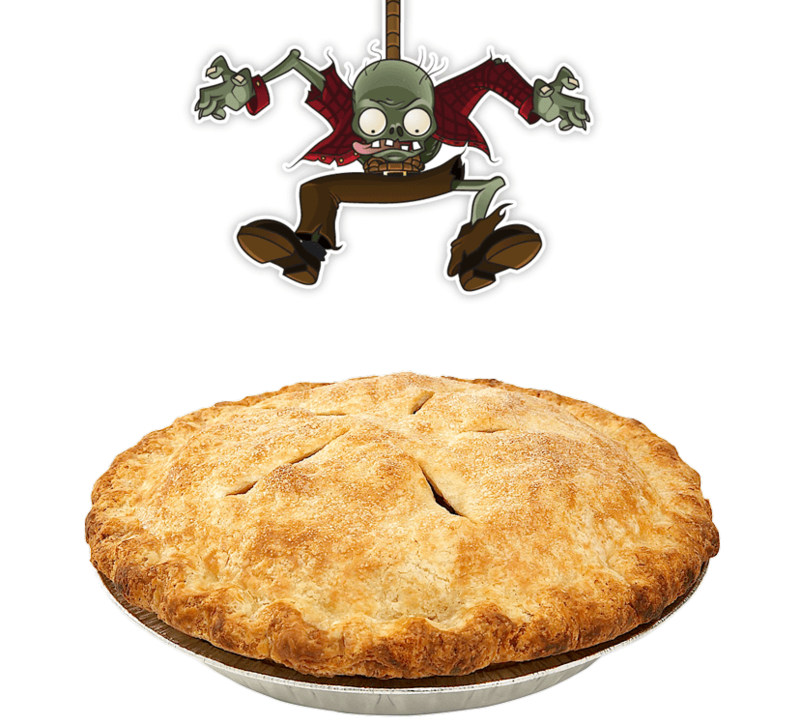 So you already know that you have a piece of that pie. What now? Once you have a clear idea of what the market looks like, you might want to determine the percentage of your online market share. Fortunately, the Internet provides you with tools that will help you find the figures and statistics, which are important in determining your current market share. These tools, such as SEMrush, SpyFu and Alexa, all of which are designed to help you monitor your website’s online visibility and measure the traffic that goes to your page (among others) can provide you with the data that you need to see your current market share, as well as how your competitors are doing. If you are tracking conversions with your Analytics software, then this is perhaps the biggest and most important indicator of your market share. You can simply look at how many products and services you’ve sold per year. Now compare that number with the total sales of the whole market, and you can see your market share. Don’t forget the total sales volume. You can study the behavior of people, and find out how much they would often spend on businesses that are similar to yours, then you can divide that total sales volume by your company’s revenue. The quotient would be your market share. The same thing is true with your customers. If you’ve already measured that the whole online market you’re competing in has this number of potential customers, then you can easily determine your market share by comparing the number of potential customers in the whole online market with the number of customers that you have already served. On the other hand, if you are new to the business world, particularly if you have only just started an online business, it might be a little more difficult for you to measure your market share. How Do You Improve Your Market Share? Aside from the tools mentioned above, there are other ways by which you can improve your market share, resulting to an increase in sales, which would then lead to more profits. You have to actively compete with other companies in the industry to win over more customers and secure sales. This is easier said than done. What if you are in the business of selling shoes? That means that your competition in the field includes Nike and Adidas. Will your small business be able to compete with these two big-time brands? The answer, of course, is yes, but this is conditional. You can compete with big businesses, provided you know and understand your niche and that you are also engaging in best practices that will increase your visibility online, particularly on the SERPs. It is also important that you build an online presence as a means to brand your company and its reputation. Many starting businesses are happy to just use classified ads sites, free blogs, and social networking pages to promote their businesses. However, if you really want to be known by billions of people online, you will need to invest in your own website. A website is the basic thing that you should have if you want to establish an online presence. For example, if a person comes across your Facebook page or your Google+ page, and becomes interested in the products that he sees, he is more likely to look for your online store. As the business owner, it is your duty to make sure that that person is able to find you, and you can do this by building a website where he can look at your products and services, get to know your company, and buy directly from the page. We’d say “Practice Inbound Marketing” but at this point, you might get overwhelmed by the scope. 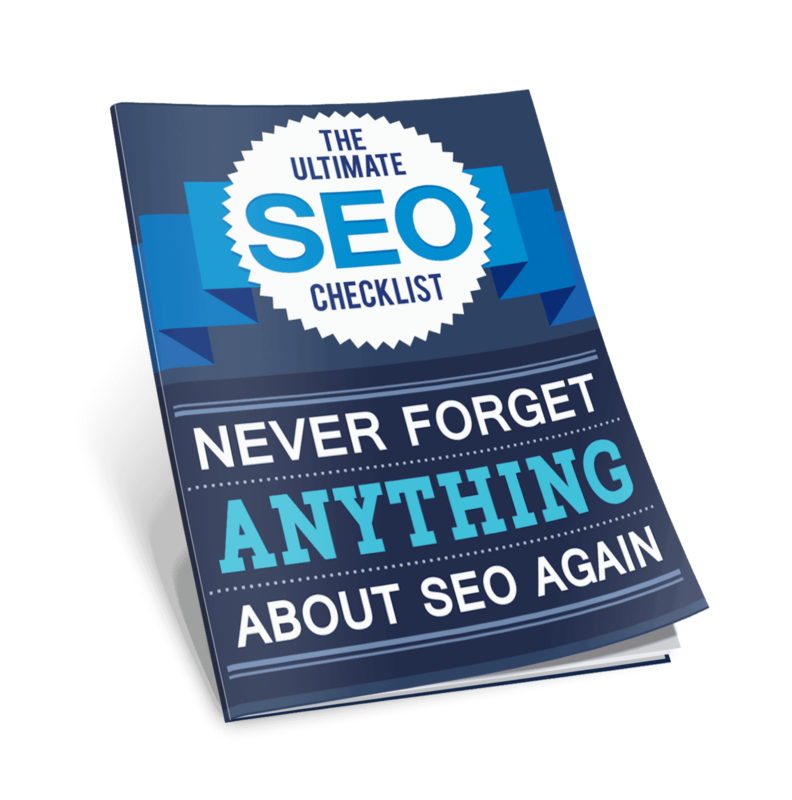 SEO, which is already a huge scope on it’s own, is a part of inbound marketing. In any case, engaging in the best practices of SEO will ultimately be the key to enhancing your page’s visibility on the SERPs. Don’t forget that high-quality content is king, and when it’s partnered with the right keyword choices, your page would often be given a higher ranking on the SERPs. With SEO, you should also look at link-building as an option to increase your visibility, but of course, you need to be picky with the links that you connect to and the links that are connected to you. Start by linking together your social media pages and go from there. Doing so will also be helpful for branding your business, and will improve the chance of traffic driven to your page. You should also try building links with websites and blogs that are relevant to the nature of your business, but make sure that these sites are of high-quality too. If you’ve read our article about SEM, you already know that SEO is a component of SEM, and both can work together to increase the visibility of your website on the SERPs. But for this instance, we will focus on the paid advertising aspect of SEM. PPC ads are a part of SEM, that will help you place your ads on the prominent portions of the search engine results page. You can use PPC ads to further promote your website and its products and services. If you also do your SEO right, then it will be great to see both of your ads and your listings appear together in the organic and sponsored sections of the SERP. If you do all these things correctly, you can be assured that your online market share will eventually grow. However, once you’ve noticed a significant improvement, don’t think of it as an indication that you should stop with your SEO, Social Media and SEM strategies. This is only the beginning. As your market share improves, so should your strategies that will further increase the visibility and expand the presence of your website. Remember that there is always room for improvement, and so you are encouraged to keep on aiming high to see and feel more success in the future. 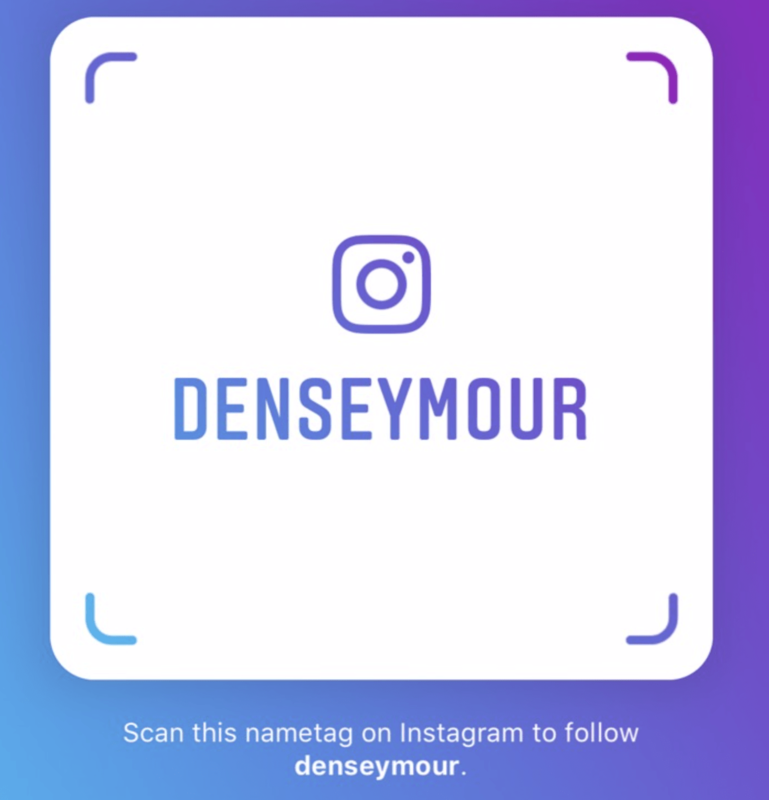 Simple and powerful tips Dennis. Always helps to know how many folks you’re working with. Thanks!